I give Colostrum periodically, mostly because I like to give the body a break from certain protocols so tolerances aren’t built up. Whenever I see a gut imbalance, bacteria/yeast flare up in my sons, I start the Colostrum for a few months. During winter season for preventative, and immune boosting abilities. So your children don’t get flu vaccines? No. 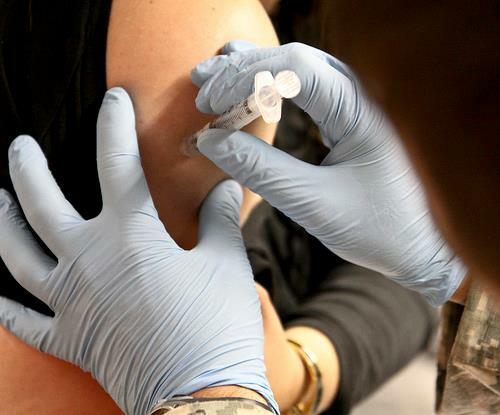 Flu vaccines have the most chemicals in them…far worse than regular vaccines. Sorry again I keep replying. Im curious, has your family gotten routine childhood vaccines or no? I have, but that was beyond my control since I was a young child. I was diagnosed with autism at age three, and looking at old home videos, I see that when I was younger than that, I looked my parents in the eye and was excited by their presence, that went away shortly thereafter. Im am required to get a meningitis booster shot for college, and a hepatitis A vaccine since they didn’t have those when I was younger. I am wondering whether or not to get an exemption. I live in Texas, and they allow exemptions there. I mean I dont live a risky lifestyle. I dont party, do drugs, or share beverages with strangers. I have already worked so hard to heal my gut, I dont want a vaccine to ruin my hard work. What are your thoughts? I no longer give vaccination boosters to my sons. They got all their childhood vaccinations up to age 5 and that’s the reason their guts are damaged. I get exemptions for any required vac here in CA…it’s a personal choice. Have to weigh the risk vs. benefits…you know what damage they can do to the gut. Thank you for the information. Personally more effective than getting the flu shot is not getting one. Never.